: All Year Long (Except. Christmas Day). 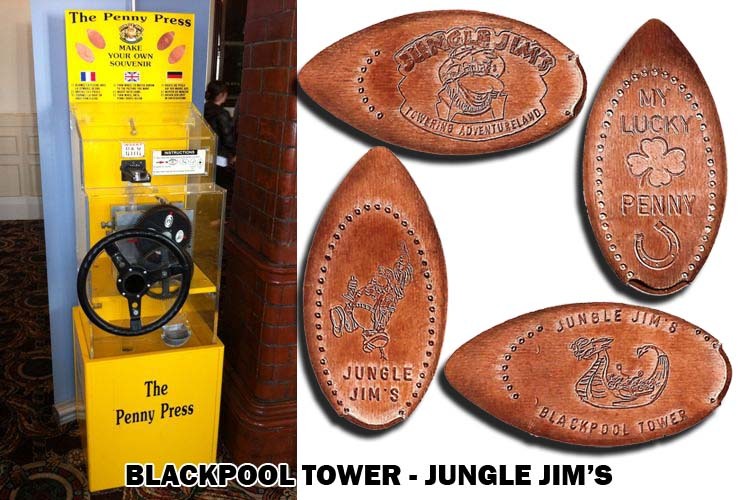 Check The Website For Each Individual Attraction For Opening Times From 10am To 5pm. 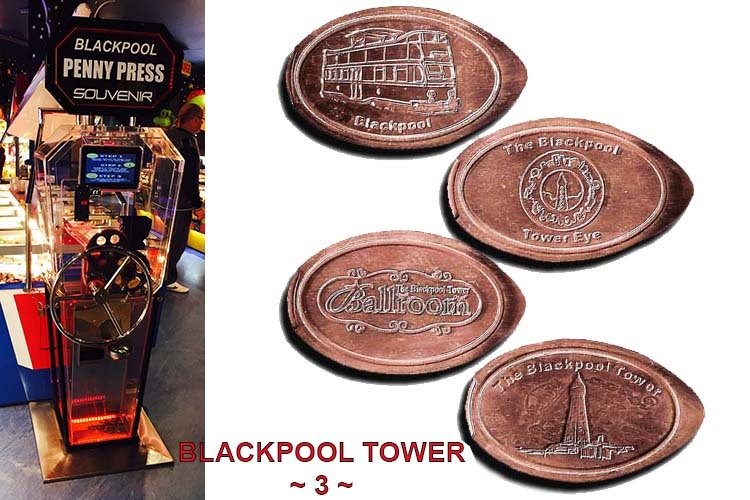 : Adults £13.50. 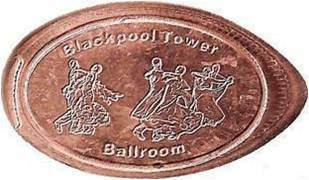 Children £10.50. 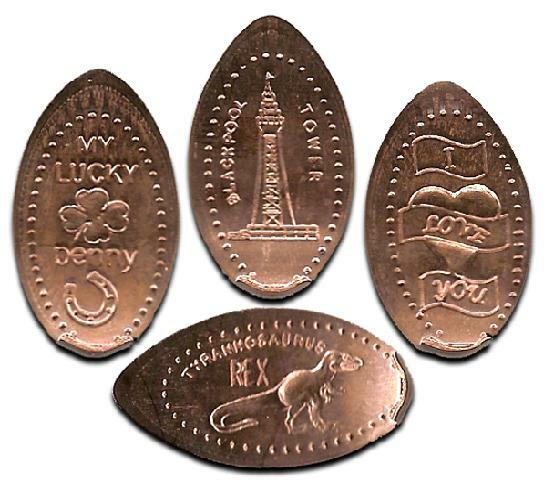 Family Of 4 £43.20. : Adults £16.95. 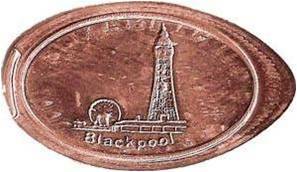 Children £13.95. Family Of 4 £55. : Adults (2 With Each Child). 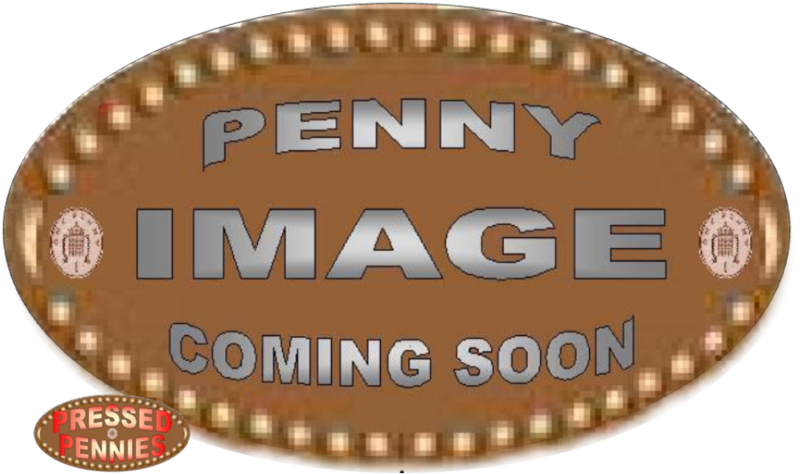 Children (Age 3, Upto 1.4 Metres)£6.50. Baby's (Under 90cm ) £3. 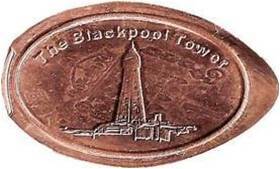 The Blackpool Tower Is Situated On Blackpool Sea Front Near The Sealife Centre & Madame Tussauds, In The Golden Mile Of Illuminations. 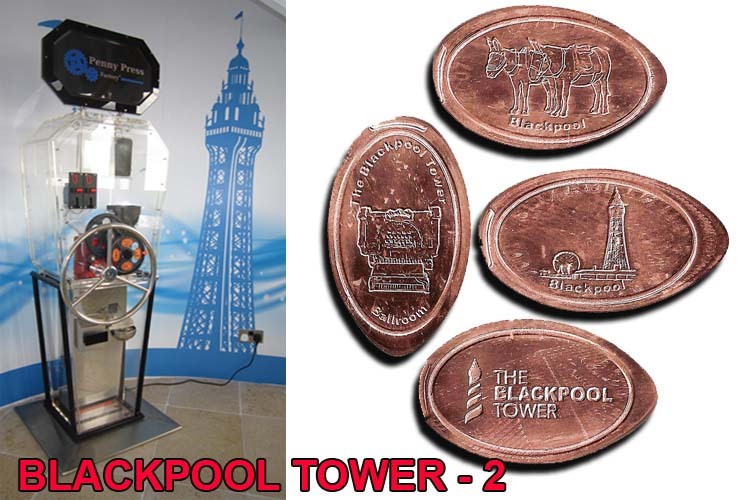 Blackpool Tower Have 3 Machines With 4 Different Pennies But 12 Different Designs. 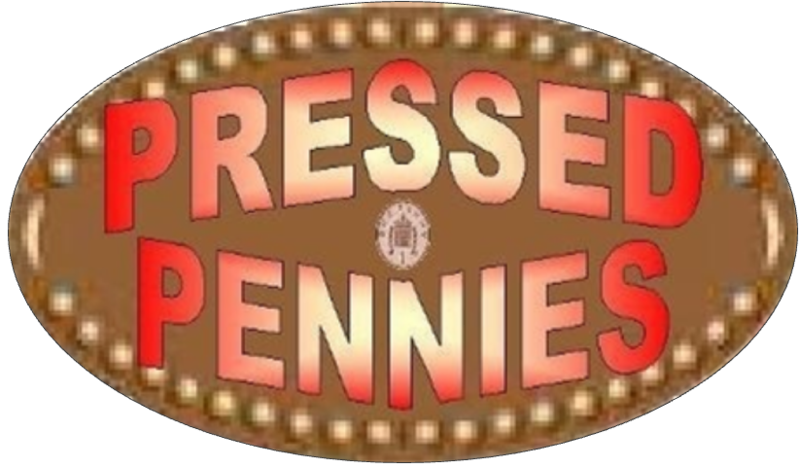 Each & Every Penny Press Costs & & All The Machines Are Hand Cranked. 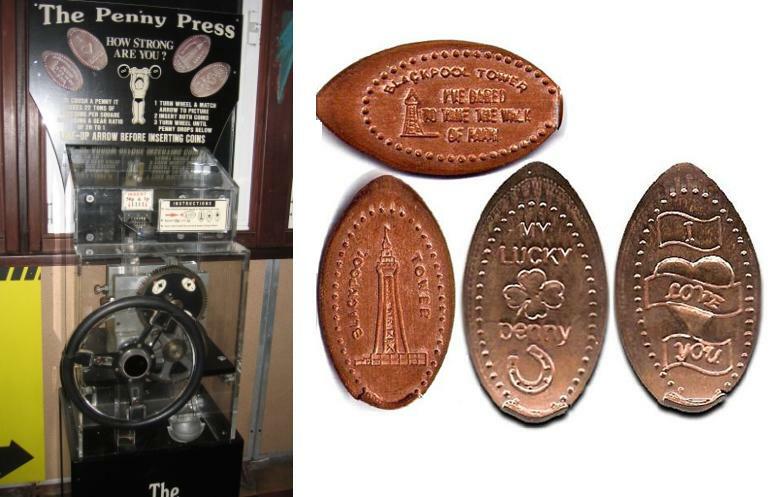 The New Top Of The Tower Penny Press Machine 1. 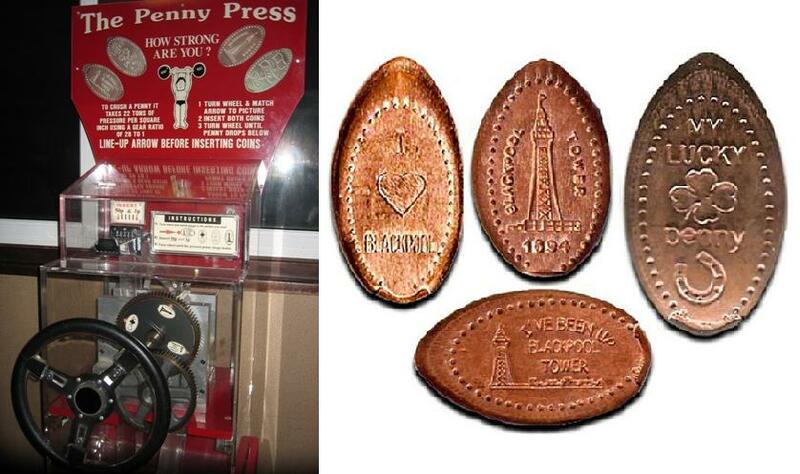 The New Top Of The Tower Penny Press Machine 2. 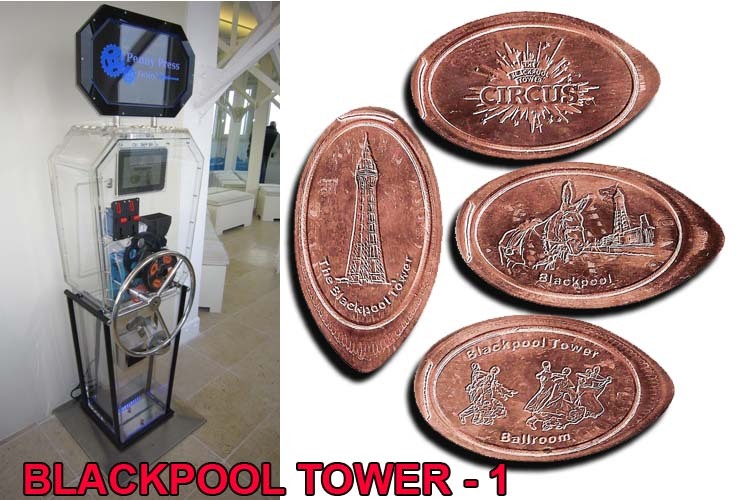 The 4D Tower Eye Experience & The Tower Ballroom Penny Press Machine Is Outside The 4D Experience Is Near The Top Of The Tower.